202 pages | 2 B/W Illus. In recent years, animals have entered the focus of the social and cultural sciences, resulting in the emergence of the new field of human–animal studies. 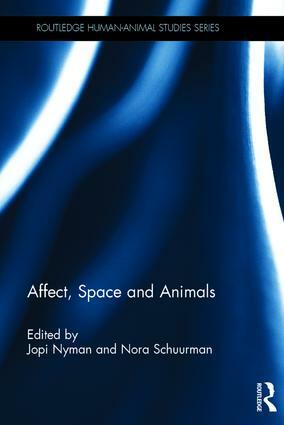 This book investigates the relationships between humans and animals, paying particular attention to the role of affect, space, and animal subjectivity in diverse human–animal encounters. Written by a team of international scholars, contributions explore current debates concerning animal representation, performativity, and relationality in various texts and practices. Part I explores how animals are framed as affective, through four case studies that deal with climate change, human–bovine relationships, and human–horse interaction in different contemporary and historical contexts. Part II expands on the issue of relationality and locates encounters within place, mapping the different spaces where human–animal encounters take place. Part III then examines the construction of animal subjectivity and agency to emphasize the way in which animals are conscious and sentient beings capable of experiencing feelings, emotions, and intentions, and active agents whose actions have meaning for the animals themselves. This book highlights the importance of the ways in which affect enables animal agency and subjectivity to emerge in encounters between humans and animals in different contexts, leading to different configurations. It contributes not only to debates concerning the role of animals in society but also to the epistemological development of the field of human–animal studies. Jopi Nyman is Head of English at the School of Humanities at the University of Eastern Finland. Nora Schuurman is Postdoctoral Fellow at the University of Eastern Finland.